Entering service in the early 1960s, the M60 tank was in production for 23 years and formed the backbone of US Army and Marine armoured units during the Cold War. Over 15,000 were built in four basic models: the M60, M60A1, M60A2, and the M60A3. Although the M60 had been phased out of US Army service by the time Iraq invaded Kuwait in 1990, M60s were amongst the first Allied tanks to enter Kuwait … City with the US Marines. 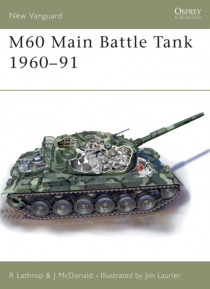 This book examines the design and deployment of the M60, a very widely used vehicle that is still in service today.